The Fortress Portfolio is our original asset allocation strategy. It is the genesis of our company, the very reason I founded the firm. It was designed at the request of a client back around the turn of the century.  Alhambra Investments began with a question. It was 2000 and I was still working at a big Wall Street firm. At that time, I traded options and stocks for large institutional clients, mostly hedge funds. However, I did have a few retail clients, like the one posing the question. He was about to retire and looking for an investment strategy to safeguard and grow the wealth he had built over many years. He was also a personal friend, who was justifiably worried about a very speculative stock market. I told him I would see what I could do. Yet, a big part of me was thinking it would be a waste of time. Didn’t everyone want a portfolio that could make 10 percent or better returns without down years? If it was possible wouldn’t someone have figured it out by now? What I did know about portfolio theory did not seem all that promising. The favored approach was the 60/40 stock and bond portfolio that despite producing decent returns since 1926, lost money in almost a quarter of those 90 years. So, I knew I would need to look elsewhere for answers. As I reviewed different theories, I increasingly became drawn to the Permanent Portfolio developed by Harry Browne. His approach divides a portfolio equally between stocks, long-term Treasury bonds, cash, and gold. The divisions are based on four economic observations. Prosperity is good for stocks and bonds. Recessions are good for cash. Deflation is good for bonds and cash. Inflation is good for gold. The performance of this portfolio was good at about 10 percent since 1972. But the returns were not consistent. There were more down years than my client wanted and extended periods of disappointing returns. The more I studied the Permanent Portfolio, the more I realized that this wasn’t my answer, but it was pointing me in the right direction. Browne’s idea of connecting his portfolio to specific economic environments and investments that would perform well in those environments had merit. In the Permanent Portfolio, I saw a machine that worked. Not as efficiently or reliably as needed. But I began to suspect that I could take apart the portfolio engine at its heart, re-engineer it, and make it better. Before I was an investment professional, I spent eight years in the Navy’s Nuclear Submarine program. In the nuclear Navy, and particularly on submarines, there is a process, a procedure for everything, down to how to flush the toilet. Now, I drew on that experience as I began to construct an investing process, a portfolio operating manual. Browne was right that different investments perform better in different environments. But my research found that it isn’t mere growth or recession that moves stock prices. Rather it is growth that is better or worse than expected that moves stock prices. This is an important distinction and explains why stocks can occasionally perform better in a bad economy versus a good one, provided the bad economy is better than feared. The portfolio I was building needed to operate efficiently across all four environments. Ultimately, I was able to construct a portfolio that had very few down years and strong overall returns. This portfolio is now what we call our Fortress Portfolio. As I write this in 2017, the Fortress Portfolio has delivered a 9.9% return, with only four down years in the 44-year period data exists to measure performance. In my opinion, I had built a much better investing process than the typical approach. Wall Street doesn’t tell you how stock- and bond-heavy portfolios have historically underperformed long enough to ruin your retirement years. And strong performance after you’re dead doesn’t help you much. Nor do they tell you how the performance of those stock- and bond-heavy portfolios, suffer from a lack of substantial real asset exposure. Stocks and bonds perform well when the dollar is rising but during weak dollar periods – roughly half the time since 1972 – real assets are the star performers. Back in 2000, my research was the beginning of a customized approach to managing one client’s money, so he would have a prosperous retirement, even as the Nasdaq and S&P 500 stock exchanges were on the precipice of losing about three-quarters and half their value in scary bear markets. The engineer in me knew I had developed something that in many aspects was before its time. Quite simply back then the parts did not exist to build this machine in volume for mainstream investors. But by 2006, when I founded Alhambra Investments, the tools to easily construct and run such a portfolio for regular folks were widely available in the form of exchange-traded funds (ETFs) for bonds, real estate and commodities. To my surprise answering my client’s question had not led me to a dead end. Rather, in 2000, I was only beginning to travel down a promising road, where I would leave my old institutional broker life behind, to engineer comprehensive portfolios largely for individual investors. 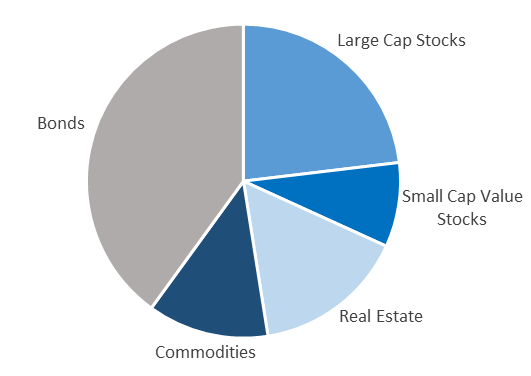 Today, the Fortress Portfolio that we still run is a passive portfolio with fixed investments, but our larger business of active strategies, and what we call our Citadel Portfolio, is also predicated on that initial research around different types of investing environments and the securities that perform best within each. Looking back, I can now see that Alhambra Investments began with that simple question from a friend—a question that would lead to the very founding of the firm in 2006 and another evolution in my thinking, during a wave of market storms in 2007.